Can you help us fund a second scholarship for the Postgraduate Diploma in Asian Art? Thanks to donations from our alumni community we raised over £30,000 towards the Dr Hettie Elgood Scholarship. 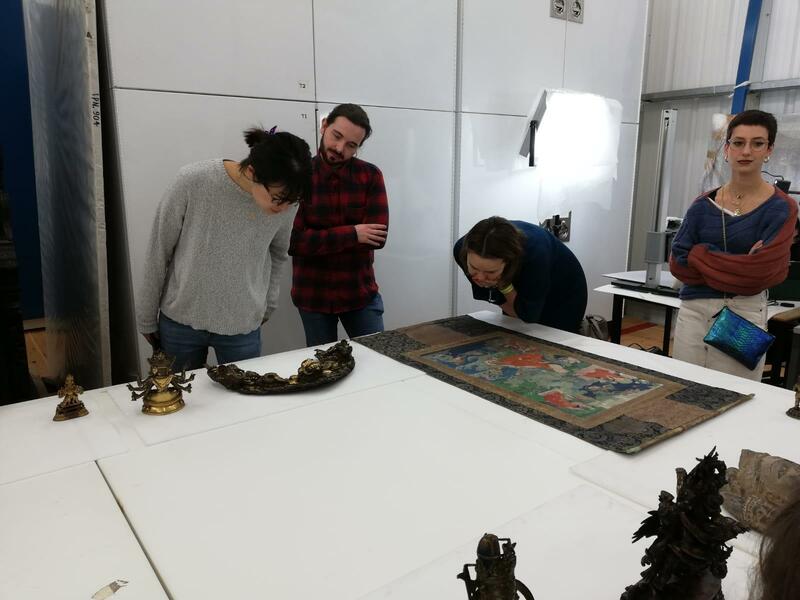 We are delighted to welcome James Hallett our first Scholar, who started the Postgraduate Diploma in Asian Art this September thanks to your generosity. We hope to welcome a second scholar and ask everyone to come together for a deserving student who will start in September 2019. All of us have benefited from the teaching and leadership of Dr Hettie Elgood in the Postgraduate Diploma in Asian Art course. The Diploma and the associated short courses would not have been possible without Hettie’s dedication, hard work and loving care in devising the programme and getting the wonderful lecturers to teach us. We wanted to recognise Hettie's great achievements by establishing this scholarship for the PG Diploma programme in her name which will benefit future students. The Dr Hettie Elgood Scholarship will be awarded to another student this year to attend the Postgraduate Diploma in Asian Art, covering the tuition fees and living expenses. The Scholarship is open to anyone, anywhere in the world, who is not financially able to pursue the course. The Scholarship will be awarded to a deserving person who intends to pursue a career related to Asian Art in academia, museums, auction houses or art galleries. Hopefully, in the future, the Scholars can contribute to the PG Diploma course by coming back to lecture or tutor, or in some other way promote the study of Asian Art. James (second from the left) at Blythe House part of The Victoria and Albert Museum Archive looking at Himalayan Bronzes. You can give to the Dr Hettie Elgood Scholarship in all the usual ways – by cheque made out to SOAS University of London, by credit card over the phone or by direct transfer into the SOAS bank account. Tax receipts are available for US and Hong Kong tax-payers. Cheques should be made out to ‘SOAS University of London’ and posted to Ruth O’Hanlon, SOAS University of London, Thornhaugh Street, Russell Square, London, WC1H 0XG. Please include a note that it is a donation to the Dr Hettie Elgood Scholarship.SOAS’s bank account details are below, for direct transfers. Please message philanthropy@soas.ac.uk upon donation, so SOAS can send you a confirmation of your gift.